The Gamro Tea ( aka Sweet Dew Tea) is made with the leaves of hydrangea serrata . It has a peculiar sweet (sugarless) and refreshing taste. The instructions on the package indicate that aroma and flavor varies with the length of the brewing time. First put boiling water into a teacup and put one leaf of the tea. After soaking for few seconds a yellow color develops, then greenish. Taste the tea until the flavor develops to your taste, them take the leaf out and enjoy the tea. It can be replenished. An alternate method is the use of a teapot and transferring the tea after few minutes, then replenishing with hot water. 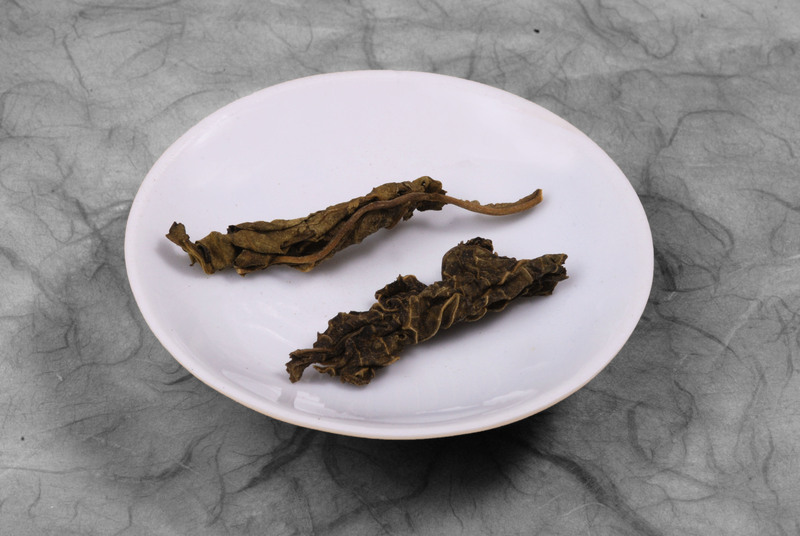 Two tea leaves of the Gamro Tea. The shape and size of the leaves is not uniform. The leaves are very delicate. The color is light green brown. 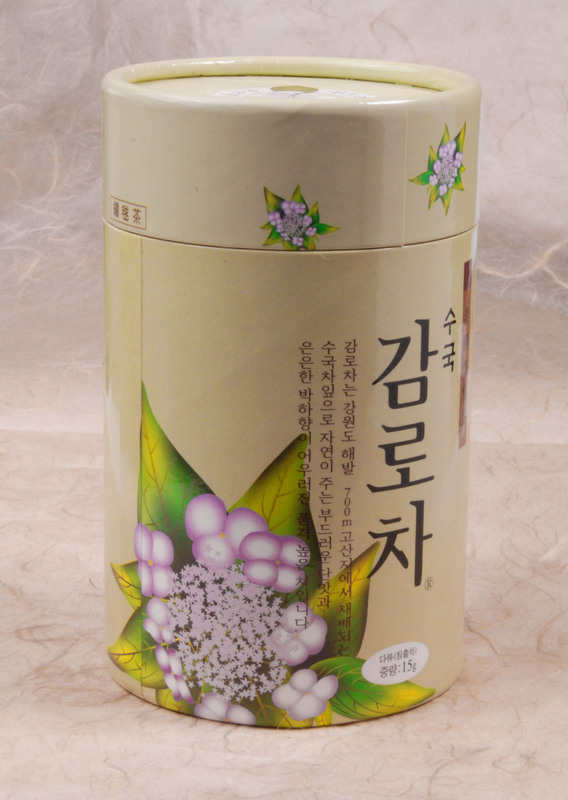 This was my first can of Gamro tea purchased in Seoul, South Korea. A store was distributing small samples of the tea. After tasting could not resit and purchased two cans. It is a very unusual tea. This entry was posted in Korean Gamro Tea and tagged Gamro tea, Korean Tea, Sweet Dew Tea. Bookmark the permalink.